The new year is definitely under way and our tastings at TWE Vinopolis have entered a new phase. Over the last few years we’ve been focused heavily on branded tastings, with companies showing off their wares to an appreciative audience, but we’ve decided to expand our remit and start looking into the world of ‘education’. 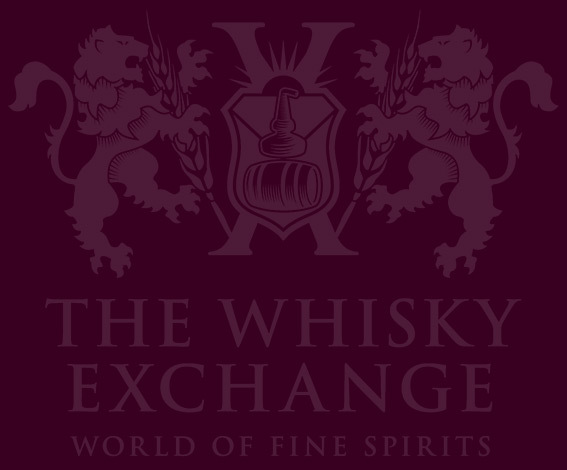 We kicked off the season of ‘The Whisky Exchange Presents…’ (name yet to be confirmed, suggestions on a postcard to Alex at the shop) with one that we’ve been meaning to do for a while – a selection of whiskies from Lost Distilleries. Chris Bolton and Ollie Chilton [see sidebar for pocket bios] were at the front of the room, and with a copy of Misako Udo’s big book of knowledge to hand to deter the more pedantic tasters (most of who work for TWE) they led us through the world of closed whisky distillers. Firstly, the closing of distilleries isn’t a particularly recent phenomenon. Ever since the beginning of licensed distilling there have been booms and busts, gluts and droughts, and distilleries have gone silent, reopened and been demolished for good. Pieces have been recycled here and there over the years, but in many cases the names of distilleries are now only found in history books and their remains are a series of small walls in a field by the side of the A9. We weren’t jumping back that far in time, but the distilleries on the mat had closed between 2008 and 1983, and we stepped back through time from recently departed to most distantly lost. 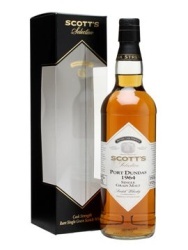 The first whisky of the night was a Scott’s Selection bottling of Port Dundas 1964, most definitely the oldest dram on the mat. Port Dundas started out with a touch of multiple personality disorder, with two distilleries by the same name starting in the area in 1811 and 1813. They both started as malt distilleries and both installed Coffey stills for producing grain whisky in 1845. They merged in the 1860s, burned down in 1903, were rebuilt and reopened in 1913, were damaged by fire again in 1917, and closed for the duration of the second world war. In the 1960s they were renovated and expanded, becoming one of the main grain distilleries for The Distillers Company Ltd, who went on to become part of Diageo. However, in 2009 after consolidating much of their grain production at Cameronbridge the company closed Port Dundas. While much grain spirit is used for seasoning casks (pretty much every piece of wood coming in to Diageo’s portfolio is first filled with grain whisky for at least three years to take the edge off) and as a young component in blended whiskies, some of it has managed to stay in cask for much longer and the independent bottling community has jumped on this in recent years. This Port Dundas was bottled at about 48 years old, quite a colossal age for a whisky, especially grain, and is on our website for £99.95. Yes, that is the correct price. I checked it twice. With old grain whisky, especially from the numerous closed distilleries, appearing for such ridiculously low prices it’s only a matter of time before they hit much higher levels, as some of the releases in the last year have begun to show. Get in now before it’s too late. Nose: Maple syrup, varnish, epoxy resin, brown sugar, nutmeg, sweet butter, Crunchie bars and sour toffee apples. Palate: More maple syrup and cornflakes, more glue, blackcurrants and sour apples, wax polish, fragrant wood and some light custard. Finish: Layers of woody spice, sweet apple and a bit of dusty old wood. Comment: Old, commensurately woody but also youthfully sweet and spicy beyond what a 48 year old whisky has any right to be. 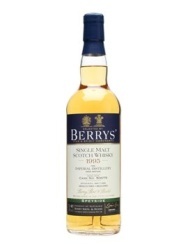 We then moved back in time by 10 years to 1998 and to a whisky from what Ollie described as ‘the second most interesting closed distillery after Banff’ – Berry’s Own Selection Imperial 1995. The distillery’s history is one of large periods of inactivity, with a string of opening and closing dates: opened 1897, closed 1899 due to the industry crashing; reopened 1919, closed 1925, although still active as a maltings; reopened in 1955, closed in 1985 due to the 1980s whisky glut; reopened 1991, mothballed 1998. Chivas Brothers bought the distillery in 2005 and are now talking about knocking it down and rebuilding a new modern plant on the site, so it’s unlikely it will ever distill again. In the 116 years that the distillery has existed it has only been open for a total of 45 years. Which is quite sad, really. Nose: Floral, with orange blossom, waxed apples, vanilla cream, thin ‘milk bottle’ custard and some earthy hints hiding underneath. Palate: Spray bottle wood polish, touches of violet, lemons, white pepper spice and some sugary syrup. Honey and butter developed as it sat in the glass. Finish: Lightly coloured wood, sandalwood and a touch of soap. Comment: A light, delicate and floral dram with a hint of wood and some sweet honey. Balanced and quite pleasant. Third on the mat was a whisky we’ve mentioned before on the blog, a whisky that’s a bit different to the other drams on show – a single blend. To be exact, it’s the TWE bottling of Lochside 1964. Lochside started out as a brewery in 1781 and was converted into a distillery in 1957 by Macnab Distilleries, who installed pot and continuous stills so as to be able to produce both grain and malt whisky. After a number of acquisitions the distillery ended up in the Pernod Ricard portfolio and was closed in 1992. It sat untouched for a decade and was eventually demolished in 2005, with the site now being used for housing. 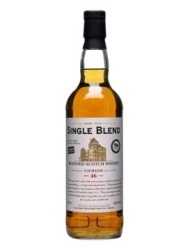 It is one of the few distilleries (along with Ben Nevis, owned by one of the shareholders of Macnab’s at the time of Lochside’s acqusition, Port Dundas, Loch Lomond and maybe a few others) which was able to produce a single blend – a mix of grain and malt from the same distillery. The whisky we were trying went one stage further, being a single cask of malt and grain spirit, filled at the same time and matured together. Nose: Fresh pineapple chunks and candied cubes, Kola Kubes, maple sap, soured vanilla cream, nutmeg, and rhubarb and custard sweets. Palate: Sweet, almost synthetically so. Blackcurrant chewitts, crushed green leaves, sandalwood and slightly cloying fruit. Finish: Herbal hints, fruity sweetness, woody spice and a touch of mint. Comment: A divisive one this – it’s still too much for me: too much wood, too much fruit. However, Alex, our shop manager, still declares it to be one of the finest whiskies he’s tasted, an opinion shared by the people who hunted me down at Maltstock when I took a bottle along in 2011. I’m just a whisky wuss. Fourth whisky of the night was a Littlemill 1990 from The Whisky Agency, bottled last year at 22 years old. TWA is a bottler from Germany whose stuff is so popular that very little makes it to the UK, which is a shame as Carsten Ehrlich, the guy behind it, is rather good at choosing casks. Nose: Putty, vanilla, candlewax, woody spice, green apple, butter, toffee popcorn, runny honey, shortbread and a floral hint. 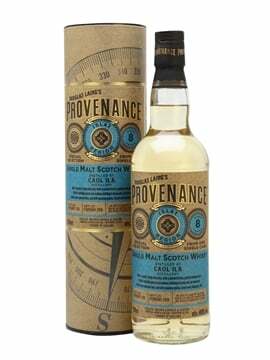 Palate: Massively sweet up front, with gummi fruit, and then continuing with a sharp appley edge, menthol and a touch of mint. Finish: Spice and butter, with lingering gummi fruit. Comment: Only the 3rd Littlemill I’ve tried and my favourite of those, as well as one of my favourites of the night. Light, floral and fruity – pretty much the style that my palate is dialled into at the moment. 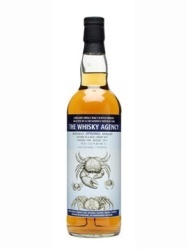 I also really like the label – crabs rock. 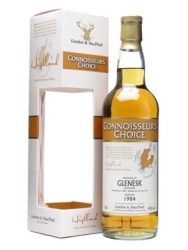 Next up was a Gordon & Macphail bottling of Glen Esk 1984. 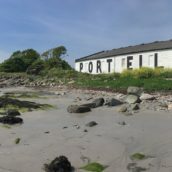 While some distilleries have some warning that their time has come, with Port Ellen knocking out as much spirit as they could in the couple of years that they knew their fate was sealed, Glen Esk stopped rather suddenly, and without the warning to give bottlers a kick to grab some casks there isn’t a lot of it about. Nose: Starts quite dark and musky, but lightens quickly in the glass. Fruit blossom up front, floral meadows, straw, sweet muscat grapes and gentle spice. Palate: Soft and sweet, with light dried fruit, dried citrus peel, some of the blossom from the nose, woody spice and a touch of damp wood. Finish: More blossom, peppery spice and some cooling mentholated wood. Comment: My first Glen Esk and a rather appealing one. 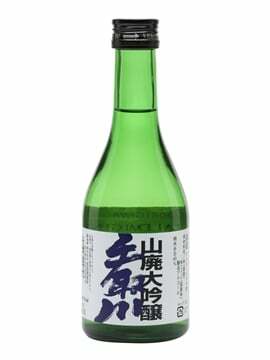 Very delicate, but straight down the floral and lightly fruity line, with some interesting wood on the finish. 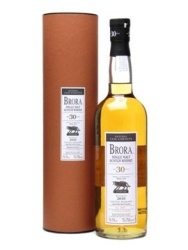 The penultimate dram was one of the names that had drawn a chunk of the audience – Brora 30yo 8th Release. A fixture of Diageo’s yearly Special Releases, the Brora is second only to Port Ellen, the other staple, when it comes to demand. They don’t have quite the same ‘instantaneous sell-out’ potential of Port Ellen, which means that more of them get out into the drinking world, which is a good thing. Brora started out in 1893, in the town of the same name, as a distillery called Clynelish. It was a project by the ‘much-loved’ Duke of Sutherland (he of Highland Clearance fame) to give his tenants a place to sell their grain. 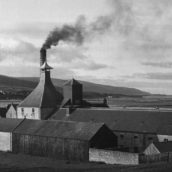 There were the traditional buyings and sellings of the site until 1968, at which point they had built a new plant just up the hill, intended to replace the old distillery. Old and new ran in tandem for a few months, renamed as Clynelish A (new) and B (old), before the old distillery closed down. Nose: Musty barrels and bung cloth, underlying waxiness, dusty earth, sweetened pineapple juice, foam bananas, a touch of savoury green ferns and some floral notes that develop as it sits in the glass. Palate: Sweet and spicy – cinnamon heat and anis. Oily with floral notes, a touch of pot pourri woodiness and apples – both skin and sweet’n’sour flesh. Finish: Damp wood, pine and lingering fruit and floral notes. 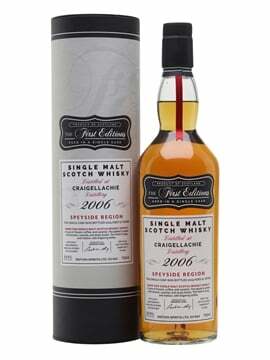 Comments: More a slightly musty Clynelish than what I think of as a Brora in my head, but a very tasty dram nonetheless. It was the star of the night in the room. Nose: Leather and tree bark, rich loamy earth, sour berries and dried fruit. A perfumed note of meadow blossom develops in the glass, with green fern leafiness. A drop of water opens things up a bit more, adding in butter, toast and some more floral notes. 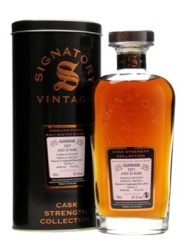 Palate: Menthol, peppery spice, sweet fruit, deep rich raisins, plums and damsons, and a leathery base. Finish: More dark fruit and a touch of sweet marzipan. Comment: A lot of sherry despite it just being a finish, this was a hit in the room – lots of depth and rich fruit. 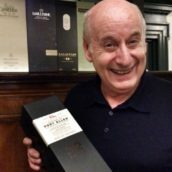 An impressive first entry in our educational series, with a good crowd evenly split between newcomers to whisky and old hands. 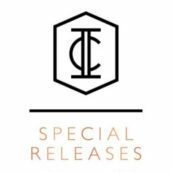 The next TWE Presents… tasting is currently in the planning stages (with Tim and I receiving a box of whisky beside our desk with instructions to do some research) and our very next tasting is on Monday 18th Feb at 7:30pm, next Monday – Cognac and Rum with Pierre Ferrand Owner and Master Blender Alexandre Gabriel. There are still a few tickets left, so give the shop a call on 020 7403 8688 to get one.